Christmas Eve and it’s confession time, as a nutrition coach I have said some things in the past I want to take back. Coaching others is a truly special thing, through helping others you often end up helping yourself too in so many ways. One thing I regret saying is how to survive the holidays. Now I get it. 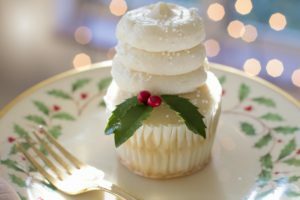 Many of us are in this space because we have a past relationship with food and eating that is somewhat disordered and holidays can bring up a lot of anxiety. If put in social situation will past binging behaviours resurface, will my family respect my choices, can I eat a piece of pie and not regain all the weight? These can be some valid concerns from someone. And I certainly don’t want to gloss over that. And as a nutrition coach I do want to help everyone heal their relationship with food and that includes giving you the tools to feel confidence around social situations and holidays. . But that’s just it, I want everyone to enjoy the holidays. Surviving the holidays seems like it is missing the point big time. So no, I do not want to give you tips today on how to survive the big turkey dinner. Instead I rather remind you to be present and enjoy the meals shared with your loved ones. I know I will. Surviving means continuing to live in spite of danger or hardship. I think we can all agree that the family dinner we are about to crush tonight it not the definition of hardship. Except maybe if anyone brings one of these weird jello casserole in your family, than I am sorry, these things look scary to me! Let’s take pleasure, be fully present and attentive in the moment. Focus on the people and the experience and have a very Merry Christmas on behalf and Kate and myself.